The Reserve Bank of India (RBI) has come up with second tranche of its sovereign gold bond scheme. While most of the features remain the same as the earlier scheme, the price of bonds this time is slightly lower. The central bank has fixed the issue price at Rs 2,600 each, down from Rs 2,684 earlier. At present, gold is trading at Rs 2,610 a gramme in the Mumbai market, up by Rs 10 compared to the prices set by the banking regulator. But, investors will still benefit if they invest in gold bonds rather than physical gold. That is because when a person goes to the jeweller or bank to buy a coin or bar, they have to shell out commission and taxes. To buy physical gold, a person will need to shell out at least 15 per cent more than the bond. ICICI Bank’s rate for gold on Monday was Rs 3,371.41 for one gram and Rs 29,567.64 for 10 gramme before taxes, according to its website. At online retailers, a 24-carat gold coin sells at around Rs 3,000 a gramme and 22-carat at Rs 2,600 a gramme. In case the price of the yellow metal corrects, while the scheme is on, do compare the price with a retailer before making a decision. During the first tranche of the scheme, which was launched in November, many investors stayed away as the price of physical gold fell. But, if one calculates the commission and taxes paid, investors would still be better off with gold bonds. The earlier tranche got a subscription for 915.95 kg gold amounting to Rs 246 crore. It was not an encouraging response if one compares it to the demand for physical gold in India, which consumes 950-1,000 tonnes of gold every year. For a gold investor, it is clearly a good scheme. 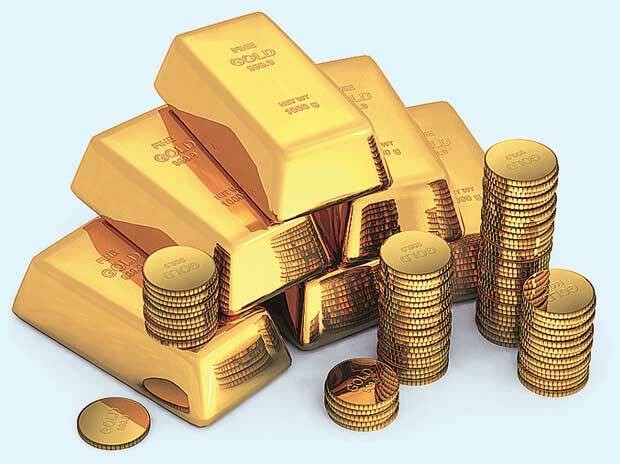 Buying and selling gold in paper format is much more convenient than in the physical format. While selling physical gold to a jeweller, the person has to take a hit of 5-10 per cent on the existing prices. On buying gold bonds, the investors also doesn’t need to worry about purity or storage of the metal. On maturity, each bond will be equal to the prevailing gold prices then. To sweeten the deal further, the government is paying an interest rate of 2.75 per cent on the initial investment. The sovereign gold bond scheme is open from January 18 to 22, and individuals can invest through banks and post office branches. These are issued in denominations of one gram of gold and in multiples thereof. The minimum investment is two grams and maximum is 500 gms. This means, a family of four can invest up to two kg or Rs 52 lakh. The tenure of the bond is eight years with an exit option from the fifth year onwards. These bonds will also be listed for trading on stock exchanges to provide liquidity. Bhargav Vaidya, bullion analyst and director, India Bullion & Jewellers' Association, says the government has clarified many issues investors were concerned with. Earlier, there was a lack of clarity whether the bonds can be used as collateral for loans. This time, RBI has said these can be. While RBI has said the interest on the bonds will be taxable and “capital gains tax treatment will be the same as that for physical gold”, Vaidya says if the bonds are taxed on maturity, it might make some investors think twice before getting into them. “If someone is saving, say, 20 gms for his daughter’s wedding, he will end up getting only 18 gms after paying the taxes. This may discourage some investors.” Vaidya feels more clarity is needed on taxation of bonds on maturity.